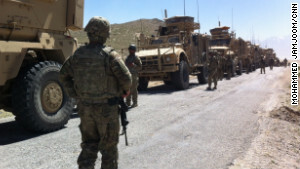 Washington (CNN) — The Obama administration is considering the possibility of removing all U.S. troops in Afghanistan after the NATO combat mission officially finishes at the end of 2014, White House officials said Tuesday. The comments by Ben Rhodes, the White House’s deputy national security adviser, come as the Pentagon and White House mull over the number of troops that could be left in Afghanistan after 2014 to fight insurgents and train Afghan security forces. Afghan President Hamid Karzai and President Obama are scheduled to meet on Friday in Washington. Rhodes said the administration is considering a range of options, with one scenario having no U.S. troops there. 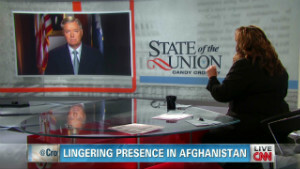 The range, according to defense officials, had until recently been between 6,000 and 15,000 U.S. troops possibly remaining in the country, based on an assessment by the U.S. top commander in Afghanistan, Gen. John Allen. « 10 healthy tips for kids.